How popular is too popular? So I've been going through my name lists and noticed that a good amount of them are in the Top 100 names that were used in 2013. I know for sure that I don't want to use a popular name for my future children. But I was wondering what everyone considers "too popular" in this case. 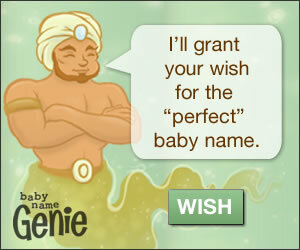 I've always wanted to use a nice, uncommon name for my kid, but it's so hard to find names that are uncommon these days. What would you consider too popular? Top 20? Top 50? Top 100?... Or would you look at the top names used only in your state? I don't worry about popularity too much if I truly like the name and the names I like are all over the place anyone. But to put it in perspective my name was a Top 50 or so name (maybe 51-52, I'm not completely sure) in my state. I've met two other people with my name: one was in my grade at school for three years before she transfered to a different school, the other works with my mother and is probably 15 years older than me. With seeing where my name was ranked and the distinct lack of people I've met with my name it doesn't bother me. Another thing that helps is to look at the number and actual percent of babies given the name. The top names account for much less than they used too. I agree that popularity shouldn't be the only factor in not choosing a name. For example, my beloved boy name, Ezra, is steadily rising and I bet it will be in the top soon. But I love it sooo much that I would use it even if it were #10. But, If you're borderline between choosing, say Linus, which hasn't been in the top 1000 in 20 years, or Ethan, which has been in the top ten for over ten years and the top 100 for over 20, then maybe you pick Linus because you want a less common name. I agree with the previous posters. For me, I prefer to use a name that isn't in the top 10 or top 50, but I've been into names for years and all of my favorite names that were not in the top 500 six years ago are now in the top 50 or top 30. It's kind of frustrating, but in the end I think what matters most is you choose a name that you truly love. Granted, I can say all that but I'm still most likely not going to use one of my favorite boy names of all time, Aiden, because after you factor in the various spellings (Aiden, Aidan, Ayden, etc.) it's the number one most popular boys name in the US and has been for the last couple years. Other names on my list that are kind of popular I am still considering, but it will probably be a few years until I have kids so things may change! That statistic for Aiden hurts my heart! If you like the name, don't let popularity affect your decision. I like names that aren't common but aren't unheard of but if I truly loved a name I would use it regardless of rank. I go by what other people I know in my area name their kids and don't use a name I know someone else used. My daughters name is Maci. She is the only one around here. And if I have another child I will pick a name that I don't know anyone else with. I go by the state statistics mostly but only cause some names are drastically more / less popular for mine (not many, but a few were!). I do use the USA wide one too just because it has a fuller amount while NH's is only 100 but still. I personally try to veer from the top 100, but if I loved a name enough go for it anyway I agree with Katie and all, statistically even higher ranked namesi, the percentage of babies born with that name is typically not a lot. Thanks guys! Your opinions really helped me get everything into perspective. In the end, I'll most definitely be picking a name that I truly love, but I would really like it if it wasn't too common. My name (Delilah) was so uncommon when I went to school, so I never shared the name with anyone in school, let alone my class. Actually, to this day, I have only ever met about 3 other Delilah's. I want that to be the same for my kid.